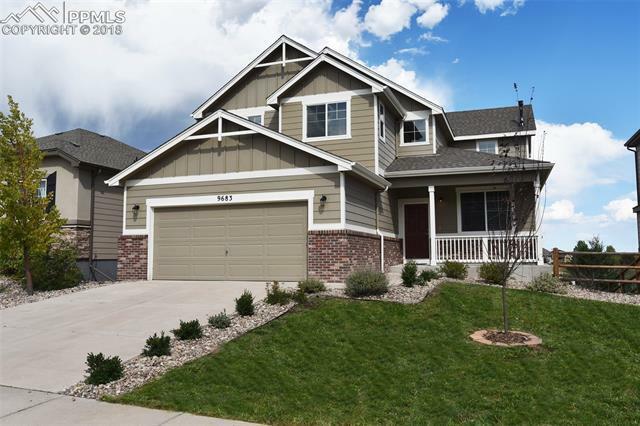 This spacious 5-bedroom home in Meridian Ranch offers a relaxed lifestyle with freshly painted rooms, large covered deck overlooking Antler Creek Golf Course, beautifully landscaped yard & so much more! Enjoy the island kitchen with stainless appliances & granite counters, plus dining area with walk-out to the covered deck. The large family room with gas fireplace is a perfect gathering space. Upstairs the bright master bedroom boasts TWO walk-in closets, 5-piece bath & mountain views. Be sure to be see this home today!